Tonight is the fall finale for NBC’s Revolution – and if you’ve missed anything, get caught up right here with this 3 minute recap of the the series so far with executive producers Eric Kripke and J.J Abrams – and they promise that tonight’s big episode will change everything you thought you knew about the show! I miss Robot Wars and BattleBots – the shows that brought exciting clashes between remotely controlled devices of destruction (and occasionally self-destruction) to TV. But seldom did they take on any sort of anthropomorphic form like in Real Steel – most were squat devices on wheels with spinning hammers or pneumatic spatulas. 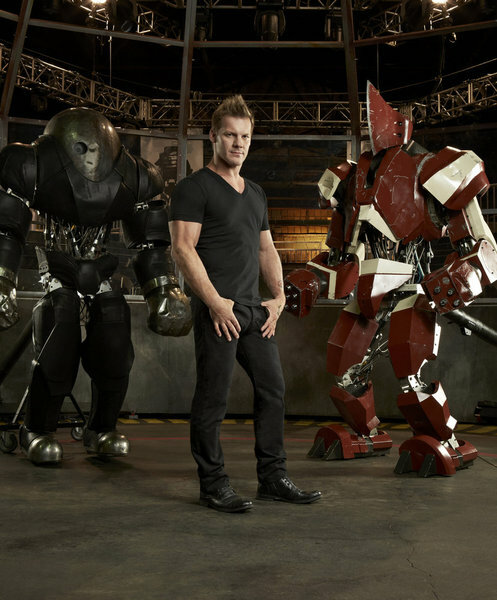 Well, now Syfy has taken a step towards real fighting robots with Robot Combat League, a weekly series hosted by the WWE’s Chris Jericho and will feature eight-feet tall, state-of-the-art humanoid robots controlled by human “robo-jockeys”, competing tournament-style. The show will debut on February 26th at 10pm ET. Found out through the official twitter account – the BBC has announced that Merlin will not return for a sixth series, with the fifth series currently airing in the U.K. and starting in the U.S. in January. The BBC Media Centre also has a release, with an interview with Colin Morgan talking about the final series. Update: Word is that Shine TV and FreemantleMedia Enterprises are in the early stages of exploring spin-offs within the universe established by Merlin, but creators Johnny Capps and Julian Murphy have announced they are departing Shine TV to form their own company.